The bulletins offered below are for reference only. The Type 211 controllers are no longer manufactured and many of the Type 211 controllers do not include all the safety features and characteristics that are now required by the current U.S. standards and are recommended by Elliott Control. The bulletins offered below are for reference only. 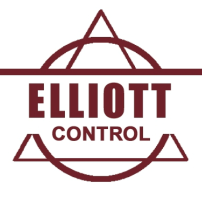 The Type 201 controllers are no longer manufactured and do not include all the safety features and characteristics that are now required by the current U.S. standards and are recommended by Elliott Control.